In the sixty years following the publication of Gerald Gardner’s Witchcraft Today, new paths have appeared, and older ones emerged out of the shadow of repression and illegality, to express with a new and more confident voice their beliefs and practice, and share, with a steadily growing audience, their knowledge, their certainties, their questions and their vision. 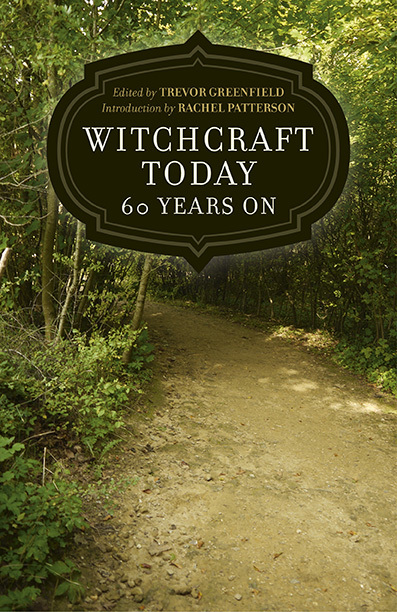 This book is a celebration of some of the many paths that Witchcraft/Wicca has taken and of the journeys that people have embarked upon. Moon Books can be found here and here. Throughout my childhood, teens and early adulthood, I had countless dreams where I could fly. It was a strange method of flight, as I would push up into the air and use breast stroke to move, often with surprising speed. These dreams were so frequent, that as a small child, I was convinced that in my waking life, if I just lifted my feet from the floor I would float. To my small self the impossible was possible. But this is the way of childhood; with age, it seems that gravity claims us, its weight increasing with the passing years. We can often feel the limitations that it places upon us as a restriction. I have been thinking a good deal about my relationship with gravity of late and realise that its gifts are becoming all the more important to me. 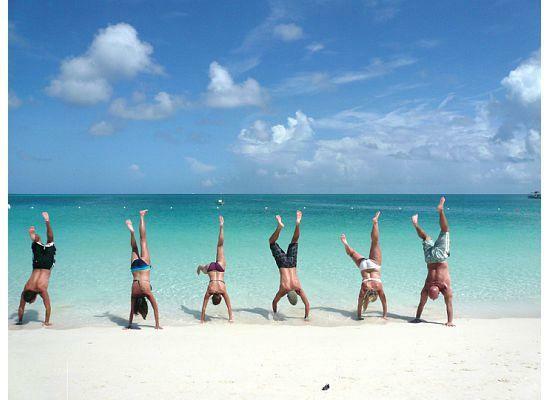 In my daily yoga practice I have recently had a powerful urge to perform handstands. This desire, as strong as it was, was counterbalanced with an equally strong fear. What if my arms just couldn’t take the weight of my body? Going back once again to my childhood, I spent a huge percentage of my time inverted, as most children do: handstands, cartwheels, headstands, hanging from climbing frames in playgrounds – I was intimately familiar with a world turned upside down, with the rush of blood to my head thumping in my ears and the wonderful elation and clarity that came in returning to upright. I never thought twice about hurling my legs above my head, balancing without trepidation, never once worrying about falling. Something happens to us as adults. There is this unspoken expectation that we put away childish things. We stop skipping, swinging, leaping and jumping, in fact, we temper our joyful dance with gravity, often through social pressure or life’s demands. We can get out of the practice of really moving our bodies which makes re-engaging so much harder the older we get. The resulting aches, pains and decreased mobility and strength can feel like an inevitability of aging, our childish attempts to defy gravity long behind us. People with children get the opportunity to break out on occasion – playing with one’s own children enables us to become children ourselves once more; for those of us without kids, we have to borrow nieces and nephews or the children of friends to indulge in a little boisterous fun. But for many, with time, gravity and the sheer effort it can exert from us, can make us turn away from what it has to offer and lead us to confuse the natural restrictions of aging with inertia. So, here I am, on the verge of my 48th birthday, and making a stand for… well… standing on my hands! I started gently, placing my hands upon the floor and walking my feet up the wall, edging my hands closer that my body might gradually straighten. At first it was a shock to feel the weight of my entire body through my arms. How did I ever once do this with such gay abandon?! As I straightened my body, I also had to deal with my fear – the fear of something vital snapping, the fear of falling on my head…But gradually, with daily practice, I am starting to touch upon that elation that being upside down gives you and I can feel the strength in my arms and body growing. In yoga, inverted postures are highly valued. From a yogic understanding there are many health benefits gained when we get topsy-turvy – it can help regulate our hormones, aid the lymphatic system and bring a greater clarity and alertness with the increased blood supply to the brain. But what also fascinates me about being upside down is that it puts us back into a much more alive and intense relationship with gravity and encourages us to view the world from a completely different angle. It is not for nothing that the Hanged Man of the Tarot has a halo around his head! To stand on one’s hands requires that we build physical strength and develop emotional courage. These qualities, to me, seem like very important gifts that gravity gives us. It is not gravity that weighs us down but our unwillingness to dance with it. When we give up on our body’s dance with gravity, we become physically stiff, our muscles weaken and our flexibility is reduced. These conditions can age us long before we are actually old and have an impact on the way we think and feel. Gravity teaches us much about perseverance and patience, about working within our limitations and by doing so, finding a new kind of freedom. When we work with gravity, it sculpts and strengthens our muscles; this in turn can help us to feel more grounded and stable both physically and emotionally. Gravity can literally change our shape – too little interaction with it and our muscles sag; too much and we become muscles bound, a condition where strength is given precedence over flexibility. Both extremes will ultimately affect the way we move in the world and because of that, can impact on the way we think. Getting the right balance (excuse the pun!) can help us to understand how much of an ally gravity is. When we use our own bodies in weight-bearing exercises we actually strengthen our bones – simply standing on one leg repeatedly over time improves the bone density of that limb. This speaks to me of how gravity gives us the opportunity to become more embodied, to really feel and enjoy the way we are rooted to the earth. When we work with gravity we become stronger, we understand how important it is to be patient with ourselves, of accepting where we are whilst believing that we can change. We can also learn the difference between recklessness and courage. Looking at those guys up in the International Space Station, I can see that, initially, weightlessness could be amazing fun and wonderfully freeing. However, we are children of our planet and in time I suspect that weightlessness would become wearisome and we would long to be earth-bound. In truth, our dance with gravity is actually our dance with the Earth; it is how we move through her being; find our home in her density and our roots in her body. When you feel the weight of it, don’t bemoan its heaviness, let it push against you and enjoy the challenge. At first it might feel exhausting but if you stick with it, in time, it can gift you with its own kind of special freedom. It might not allow you unbounded flight but it has its own special magic.